Stop the clutter of Top 10’s and find the focus of Top 1! It is that time of year when so many sites are letting you know about their top 10 posts of 2014. In my mind, that is nine posts too many. We need more simplicity and less clutter of content marketing. 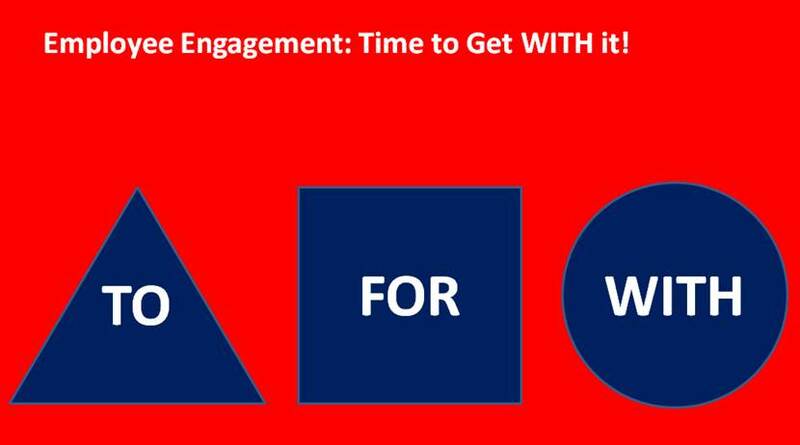 So, instead of 10 posts here is a link to my favorite post of 2014: Get with it: Are you ready for Employee Engagement 2015? It take under two minutes to read but can sustain your engagement efforts for all of 2015. What are you waiting for? Get with it. David Zinger is an employee engagement speaker and expert striving do get simpler and use less to do more.